Get notified when Fifth Harmony tickets are available! Fifth Harmony is a girl group that blends R&B and pop music styles. 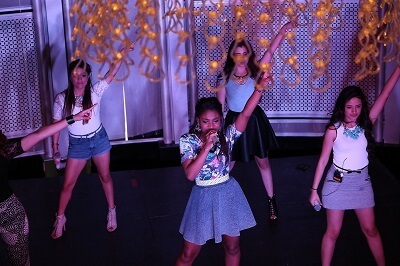 The group consists of Ally Brooke Hernandez, Normani Hamilton, Lauren Jauregui, Camila Cabello and Dinah Jane Hansen, all of whom were contestants on the 2012 season of the television show X-Factor. They released their first album in 2013, and the record received gold certification. The group is known for the songs “Worth It,” “Work from Home,” “BO$$,” “Sledgehammer” and “I’m in Love with a Monster.” Fifth Harmony is known for putting on an amazing concert, and you can experience the band live for yourself by purchasing Fifth Harmony tickets online for an upcoming tour date.